Politicians inside the convention are proud of their voter supression tactics, but judges and the public increasingly disagree. 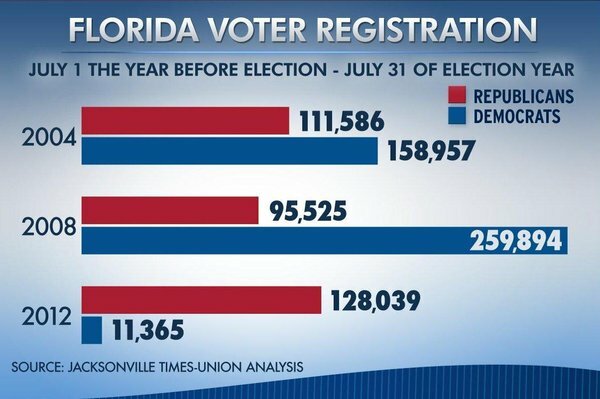 On the first full day of the Republican National Convention in Tampa Bay, Republicans were not running from their record of voter suppression. At a fundraiser Tuesday afternoon not far from the Tampa Bay Times Forum, GOP superstars lined up to pay their respects to one of the key architects of recent voter-suppression tactics—Cleta Mitchell, a Tampa Bay–based attorney who is head of the Republican National Lawyers Association. Later that night, South Carolina Governor Nikki Haley got one of the biggest applause lines of the convention so far when she boasted about her voter-suppression achievements back home. “We said in South Carolina that if you have to show a picture ID to buy Sudafed and you have to show a picture ID to set foot on an airplane, then you should have to show a picture ID to protect one of the most valuable, most central, most sacred rights we are blessed with in America—the right to vote,” she said. But Haley’s timing was awful—the ground beneath voter-suppression efforts is falling away, in her state and elsewhere. On the same day Haley spoke, a trial was underway in South Carolina in which the state is suing Obama’s Department of Justice for blocking the voter identification law. And it isn’t going so well for the state. (Ari Berman has excellent coverage here). And outside the RNC, protesters were closely watching and demonstrating against the voter-suppression policies being trumpeted inside. At what was billed as a “large-scale” rally in Centennial Park, hundreds of young people—mainly African-Americans and undocumented Latinos—marched against voter-suppression tactics. “A lot of us here are undocumented immigrants and DREAMers, and we also have the African-American and Latino community gathered here to let the Republican Party know that it’s time to stop suppressing these communities of minorities,” said Erika Andiola, who traveled to the demonstration from Mesa, Arizona.